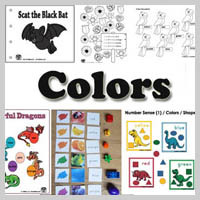 Bats preschool and kindergarten activities, lessons, games, and crafts. Although there really is nothing to fear about bats, and they don't really attack people to drink their blood nor are they blind, it's fun to let your imagination run wild, especially around Halloween. Read the book Stellaluna by Janell Cannon, a charming story about a fruit bat whose world is turned upside down. 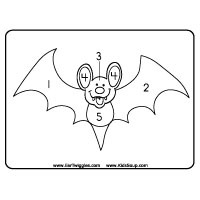 Let your children be batty for bats and learn about these benifical creatures with our "spookatacular" bat and Stellaluna related activities, crafts, rhymes, games, lessons, and printables. Bats often get a bad rap. They are one of the most misunderstood animals on the planet. Did you know that bats are quite beneficial to us? They eat harmful bugs like grasshoppers and mosquitoes which can destroy crops and spread diseases. They help spread fruit seeds and pollinate flowers. Even their poop, or guano, is beneficial as it makes an excellent fertilizer. 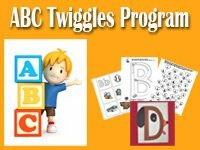 Your child will enjoy learning about bats through listening to stories, making fun crafts, playing games, and reciting poems. Using large cardboard boxes or tables and blankets, make a bat cave. Cover a table with a brown or black sheet or fabric. Let children pretend to be bats sleeping in the cave by lying on their backs with their feet touching the bottom of the table. Distribute some plastic fruits and plastic bugs around the cave for the bats to find. 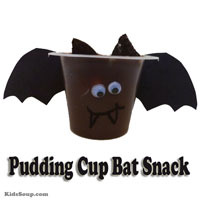 Let your child use it for dramatic play or for reading books about bats. 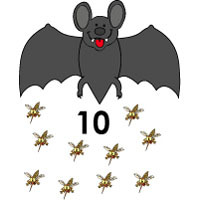 Place 10 bats into a brown paper bag "bat" cave). Let a child pick a random bat card and name the number. Then, reach inside the cave to grab the matching amount of bats. 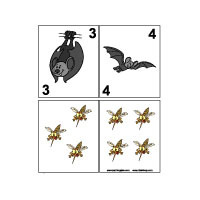 Extension: Let children match the bats with the matching number of bugs/mosquitos. 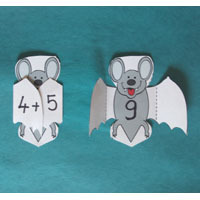 Draw and cut out 10-20 bat shapes out of black craft paper and label with the numbers 1-20. 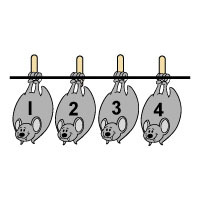 Attach a string between two chairs and let children hang the bats with clothespins in the order from 1-10 or 1-20. 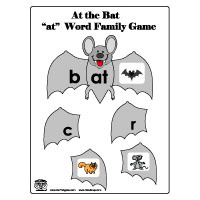 Bat, cat, hat... Take the opportunity to practice the -at word family with your children. 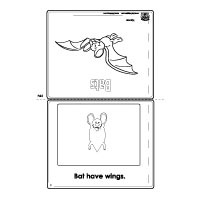 View also our Bat Twiggle Magazine edition for more free bat crafts, activities, recipes, and games. Place a toy bat inside a paper sack. Explain to your child that he/she is allowed to ask twenty questions to decide what is inside the sack. Record the number of questions asked by placing tally marks on a piece of paper. When all twenty questions have been asked, ask, "What do you think is in my sack?" By the process of elimination, your child hopefully will be able to solve what is the bag. If not, follow-up with a discussion of what questions would have given him/her more helpful information. Ask children, "Are you afraid of bats? Graph the answers. 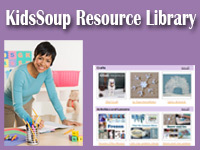 Discuss with children that bats use their sense of hearing to help them find food. 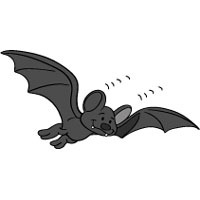 A bat can tell where an object or animal is by making clicking sounds that bounce back from the object resulting in an echo (echolocation). They can even tell the size and shape of a tiny insect from its echo. 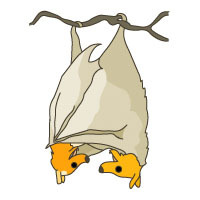 Their ears are very sensitive and this helps the bat fly in darkness without hitting anything. Choose one child to be the bat and cover his/her eyes with a bandana. Choose one or two children to be the insects making clicking sounds with their mouths. One child makes the clicking sounds. 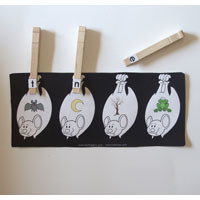 The bat follows the sound until he/she touches the child making the sound. Continue with the second child. Continue until everyone has a chance to be the bat. 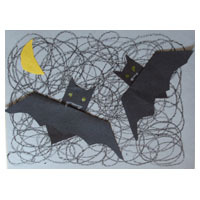 Bats are familiar figures when the leaves start to turn and Halloween is just around the corner. 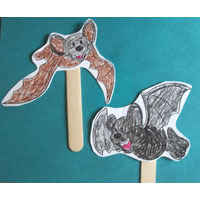 Your child will enjoy learning about bats by making this fun bat craft and singing the bat song. Print bat pattern on heavy printing paper and cut out. To fly around, to fly around. 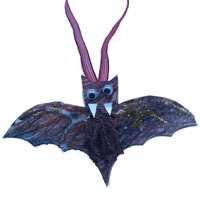 Draw a flying bat shape on a piece of cardboard and cut out. Place the shape on a black craft paper. Provide children with a small strainer, white paint, and a toothbrush. Hold the strainer upside down over the bat shape. Demonstrate to children how to dip the toothbrush in to the white paint and then brush it on the strainer until the black paper is covered with white speckles. 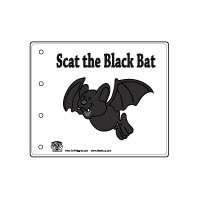 Cut a bat shape out of black foam or craft paer. Let children glue on googly eyes, and then glue on to a clothespin. Stellaluna Stellaluna by Janell Cannon is a charming story about a fruit bat whose world is turned upside down. After reading the story to your child, discuss with your child how birds and bats are different and what it means to be a friend. Show pictures of a bat and a bird. 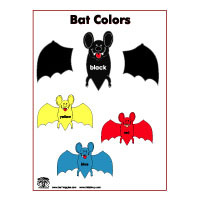 Ask children to decide whether or not a bat is a bird. Give them small slips of paper to write either "yes" or "no” or take a count. Make a chart with a nest on it. The "yes's" go on the nest. The "no's" go outside the nest. Show children the front cover of the book Stellaluna by Janell Cannon. Have children make predictions about the story. 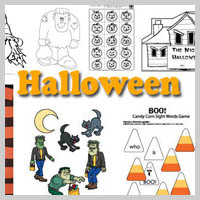 Write children’s predictions on chart paper. 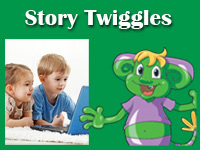 Read the story Stellauna aloud to children. 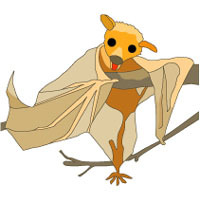 After reading the story ask children again to decide whether or not a bat is a bird. Take a count and compare to the count taken prior to reading the book. 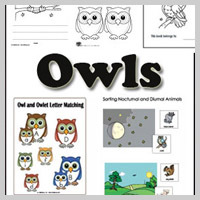 Make a K-W-L chart with the following headings: What We Know about Bats, What We Want to Learn about Bats, and What We Learned about Bats. Using a bat shaped cookie cutter, cut flour tortillas into bat shapes. Lightly brush both sides of each bat shape with oil. Place tortilla shapes on cookie sheet and place in oven. Broil, flipping chips once when they begin to brown. When brown on both sides, sprinkle lightly with salt or a mixture of cinnamon and sugar. • Bats are the only flying mammals. • Bats give birth to live babies and feed them with milk. 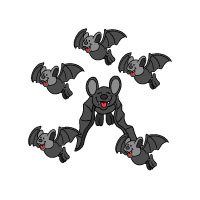 • Bats like people usually give birth to only one bat at a time. • Bats are found on all continents except Antarctica. • There are close to 1000 species of bats. • Bat wings are made of thin layers of skin stretched over their arms and fingers. • Bats have a thumb and four fingers, just like people. • Bat fingers are very long. In fact, if we were like bats, our fingers would be longer than our legs. • All bats live upside down. 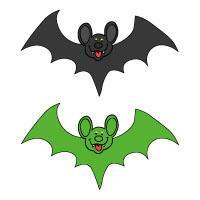 • Different bats eat different things: fruit, insects, fish, frogs, and small animals. 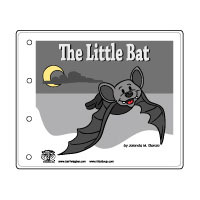 • The Vampire Bat makes small wounds in large animals with its razor-sharp teeth and then licks the blood. • Bats often have huge ears compared to the rest their body—they have the best hearing of all mammals. • The smallest bat—the bumblebee bat—is about the size of a jellybean and weighs less than a penny. • The Bismarck flying fox has a wingspan as long as a man. • Bats benefit people in many ways. Some feed on harmful insects while others pollinate flowers as they fly from flower to flower. 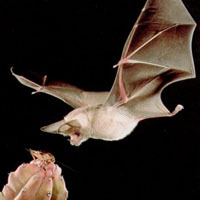 Seeds are dropped by fruit bats which may sprout into plants. 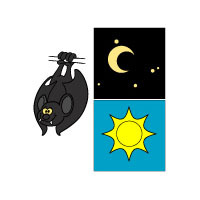 The maps that appear in the right margin of this resource highlight the range of different species of North American bats.